Classic Bollywood actress Manisha Koirala turned a year older on August 16, 2018. 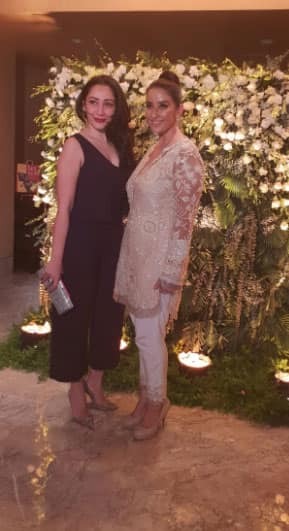 The beautiful actress hosted a grand birthday bash in Mumbai which was attended by family and close friends from the film industry. She looked ethereal in an ivory attire. 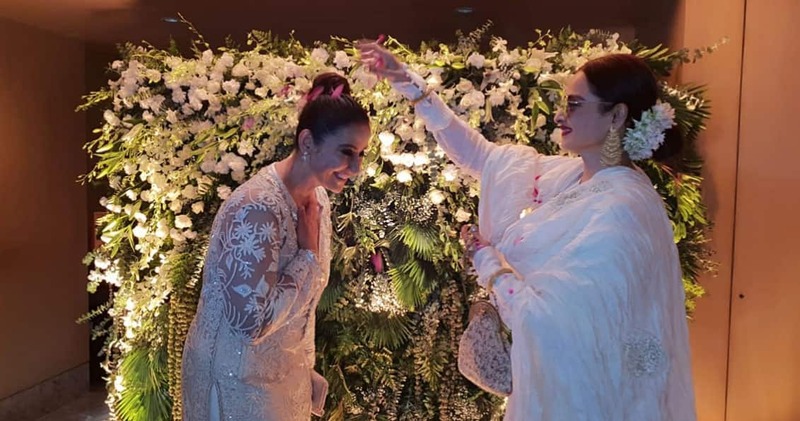 Superstar Shah Rukh Khan, veteran actress Rekha and maverick filmmaker Sanjay Leela Bhansali were amongst the guests who attended Manisha's 48th birthday bash. 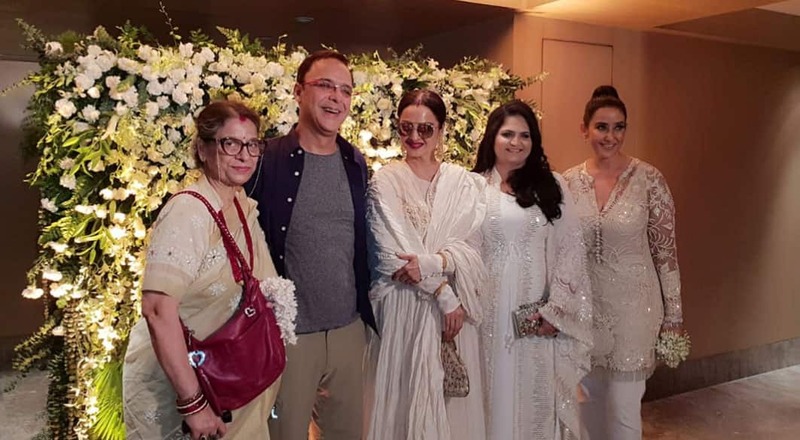 Also, present at the do was filmmaker and producer Vidhu Vinod Chopra. 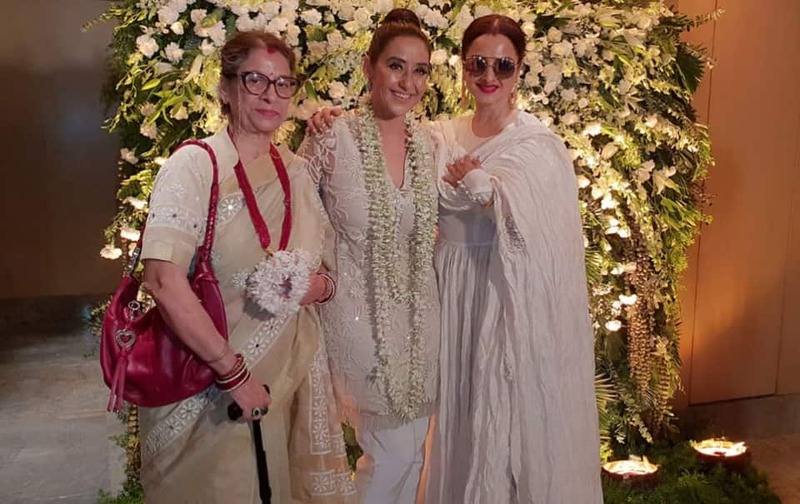 Manisha's mother, father and best friends also attended the lavish party which took place at Taj Lands End hotel, Mumbai. Here's wishing the actress a very happy birthday! 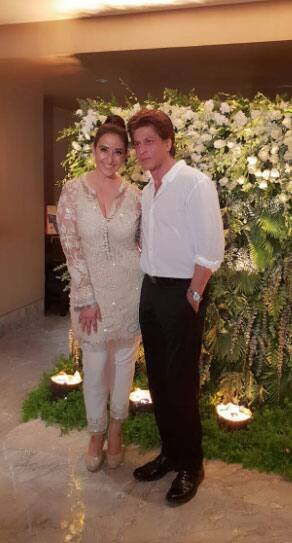 Superstar Shah Rukh Khan attended co-star and friend Manisha Koirala's 48th birthday bash. The duo has worked together in 'Dil Se' and 'Guddu'. On the professional front, the actress was last seen in Rajkumar Hirani's 'Sanju'. A biopic based on the life of superstar Sanjay Dutt. She played his mother late actress Nargis on-screen. 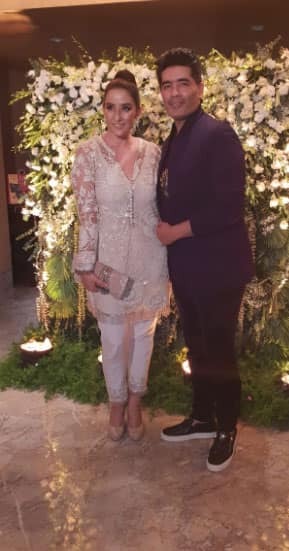 Here, birthday girl Manisha Koirala can be seen posing happily with ace designer Manish Malhotra.